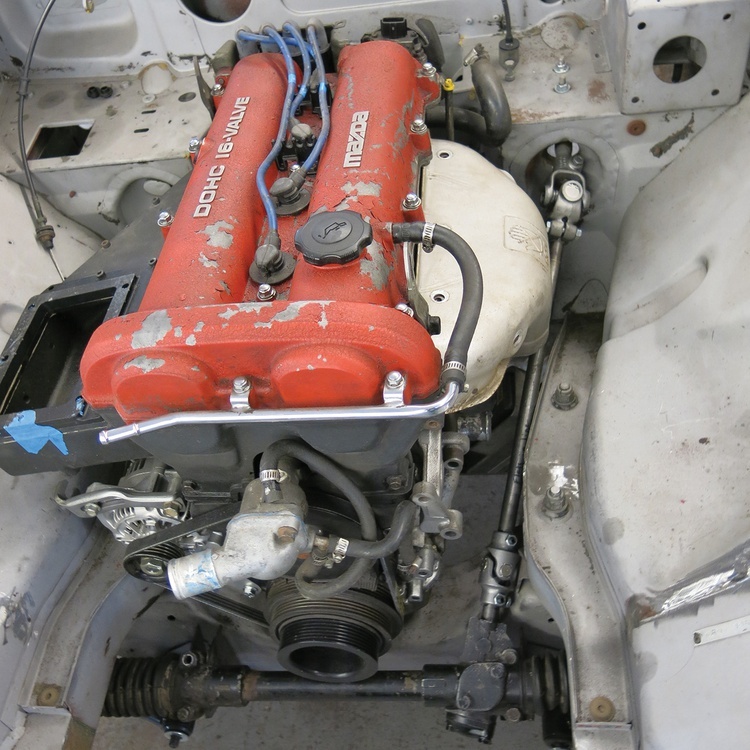 When it comes to engine swaps, compromises are inevitable. The trick is to compromise where it will result in the least amount of work. 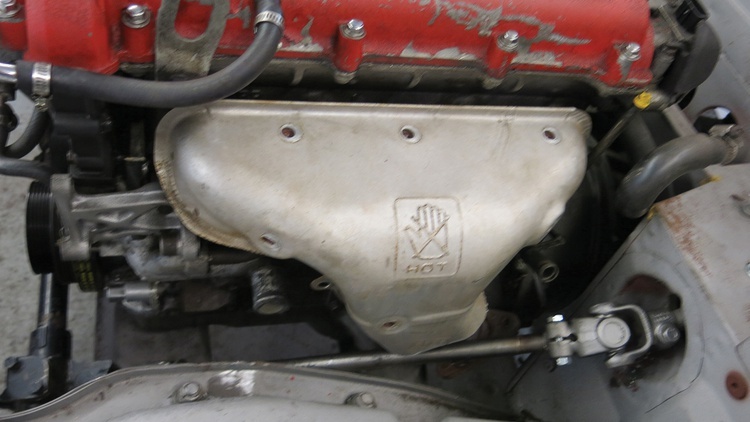 Case in point: We’re transplanting a Mazda Miata engine into an MGB GT, and we’re facilitating this phase of the operation with a saw, a torch, a hammer, and factory parts from just two donors. We chose this particular car and engine because the lessons we share from this swap are practically universal, so follow along. 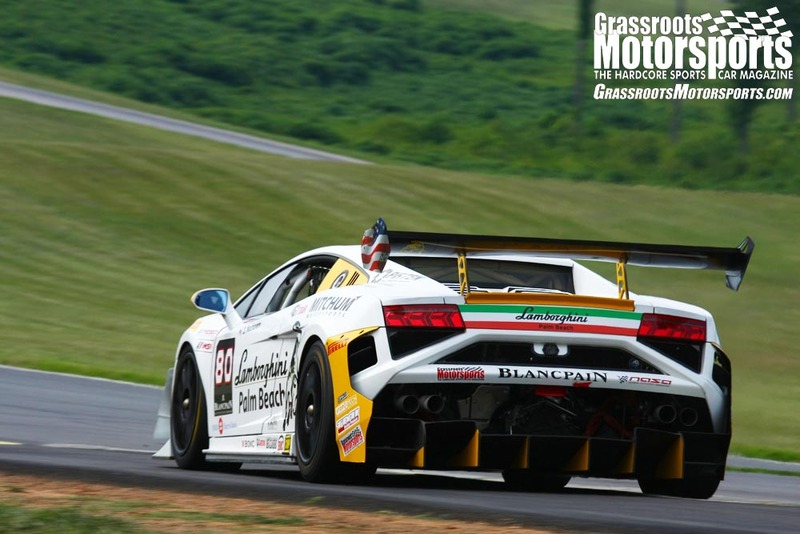 Our strategy has always been to place the engine low, back and centered, then modify around it. That in itself isn’t usually too hard, but sooner or later you need to hook up the steering and exhaust. And it seems like in most swaps, this is where the compromising begins. 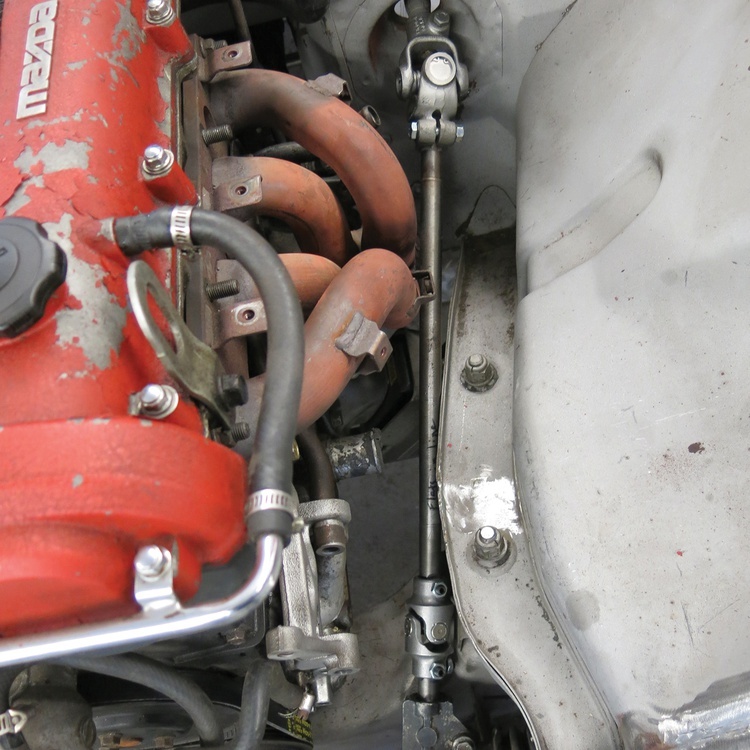 When you encounter clearance issues, you can mount the engine a little higher or a little off center to make room. Or you can move some other components. Or you can start notching things. Sometimes, you get to do it all. We’ve also learned that moving steering components is a lot of work: The process changes the geometry, especially bumpsteer–usually for the worse. Fortunately, this time we’ve been able to keep the compromises fairly reasonable to make everything work together. 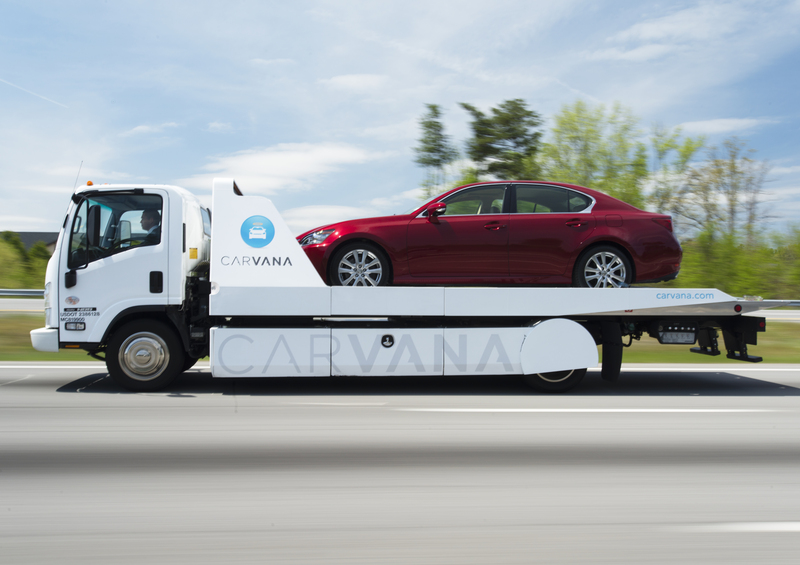 One of our solutions has been to dig into the OEM parts bin for options that provide more clearance. As a result, our MGB GT is a bit of a mosaic of factory MG and Mazda components. 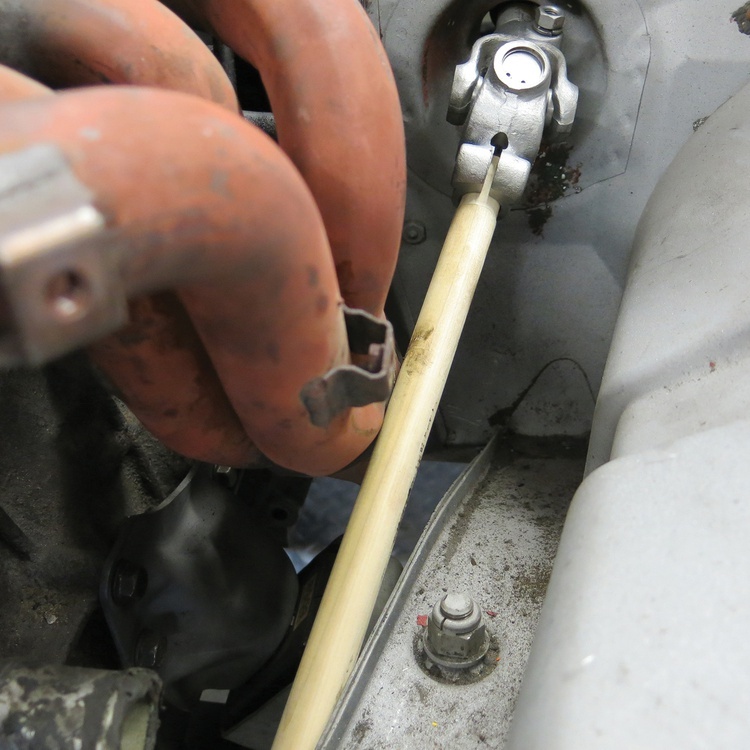 Take, for instance, the crossmember we used to get the steering rack to clear the Miata engine’s front pulley. It came from a later rubber-bumper MGB, although it was also designed for the factory V8s installed in some European-market MGBs. What about those times we couldn’t find a part to solve our problem? 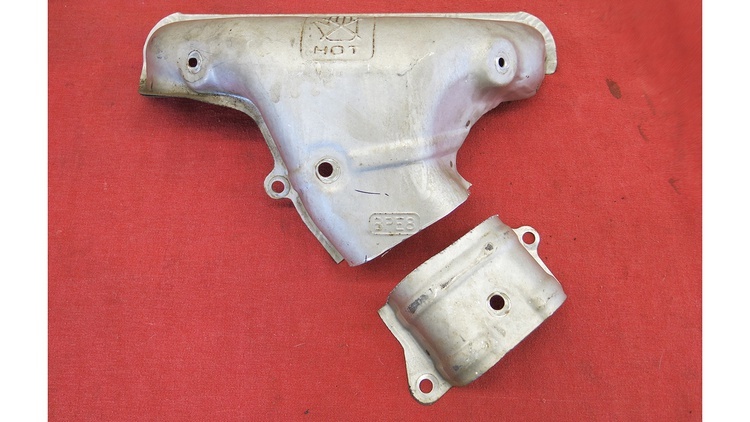 That was the case when we needed to connect our steering rack to the earlier MGB’s steering column: No simple alternatives existed. We also had clearance issues with our exhaust header and heat shield. As issues go, though, these weren’t a big deal. Here’s how we solved them. 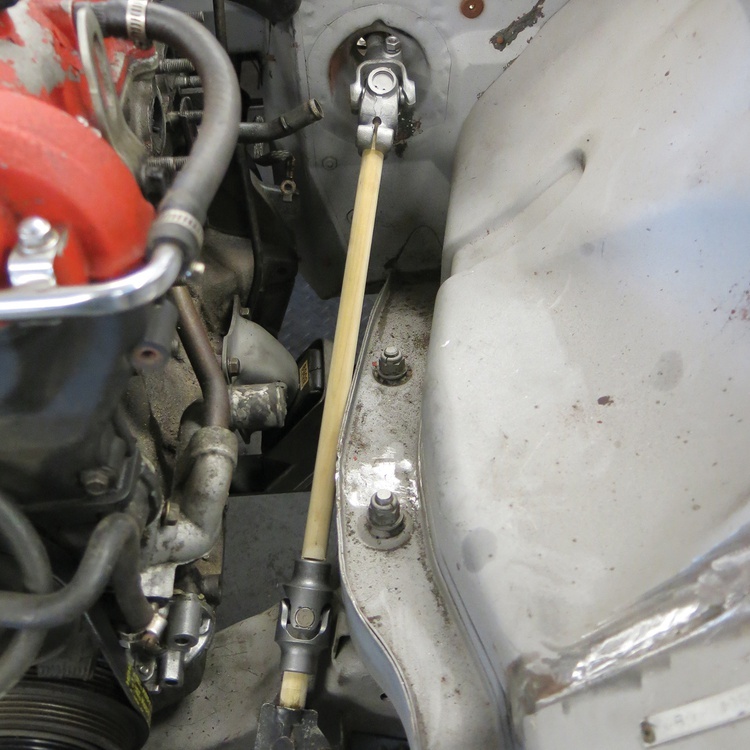 MGBs use a single, splined U-joint to connect the steering shaft to the steering column. 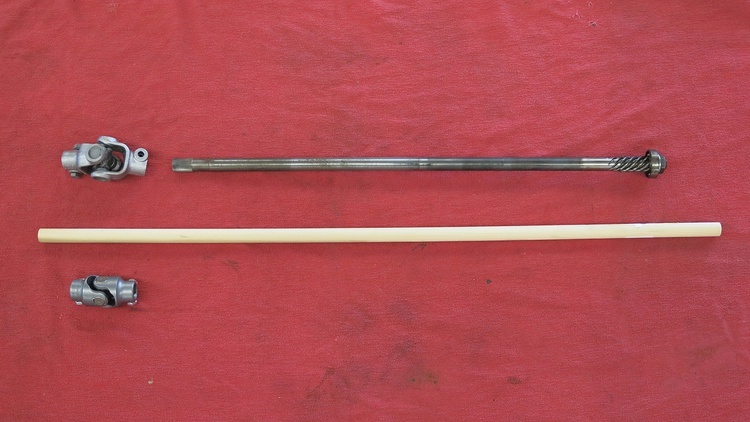 To make our car’s shaft fit the column of an earlier MGB, we needed to change the shaft’s length and direction a bit. This plan called for a second U-joint and a second shaft. 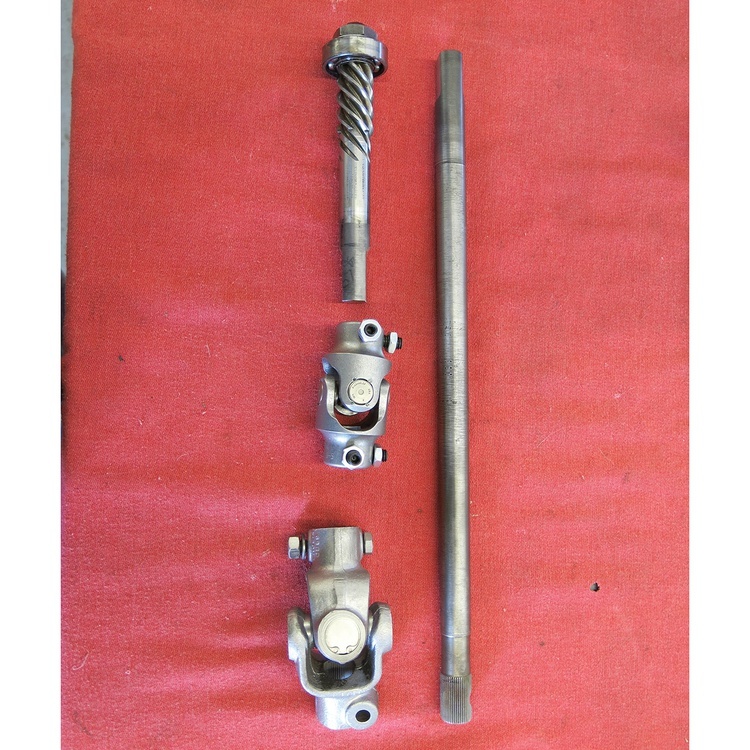 The MGB steering shaft is 3/4 inch in diameter, and we quickly found several companies that make steering U-joints for shafts of this standard size. 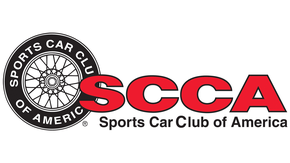 We picked up a Borgeson joint from Summit Racing. 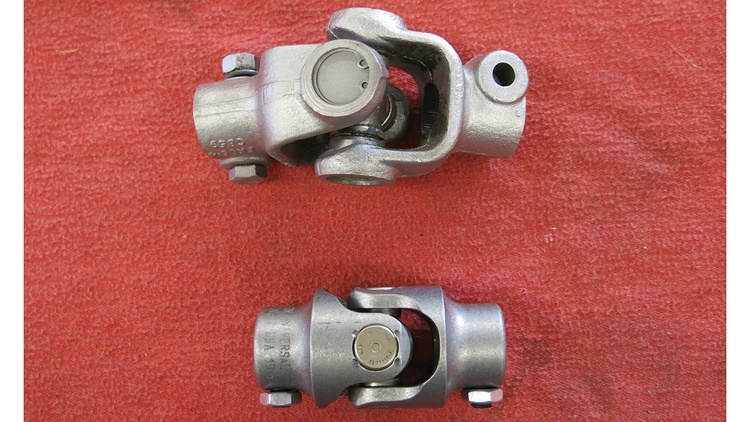 They’re available in a splined or double-D configuration, and we picked double-D for easier machine work. We used another Borgeson piece on the added second shaft. 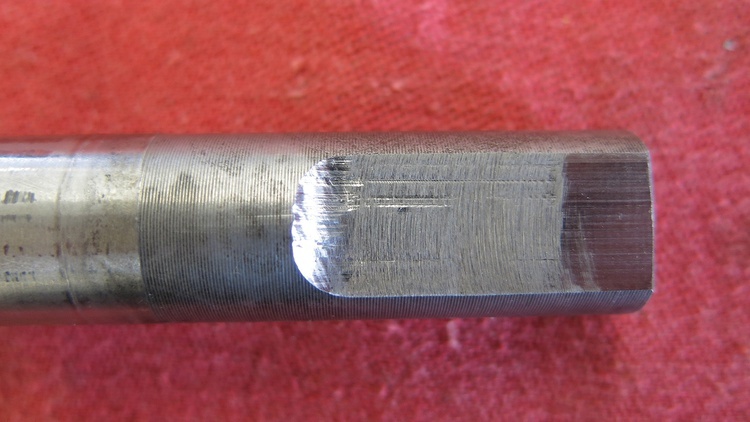 At the top is the original shaft and U-joint. 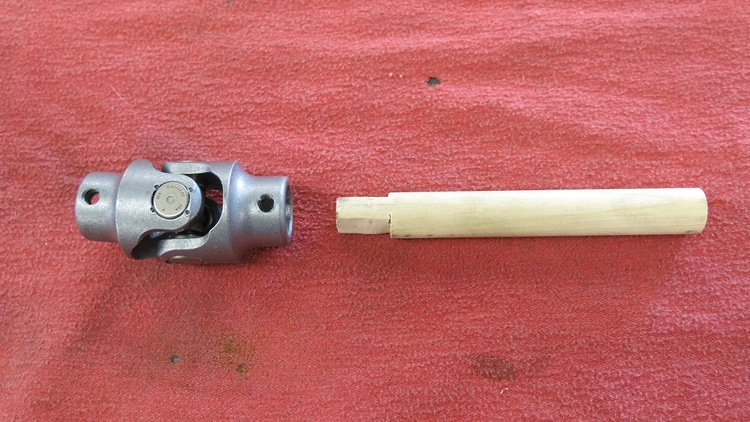 Below is the new U-joint and a length of 3/4-inch dowel we used to mock everything up. We cut a small section of the dowel to fit inside the rack, and notched it to fit into the double-D U-joint. We did the same thing to a longer piece of dowel and then connected our mocked-up setup. The mock-up let us check our exhaust header clearance. While our steering fit nicely, the factory Miata exhaust header was nearly hitting it–too close for comfort with rubber mounts. We’d resolve this later. We cut the shaft to the lengths determined from the mock-up, then had a local machine shop mill the double-D flats on the ends. The pieces were ready to be installed. 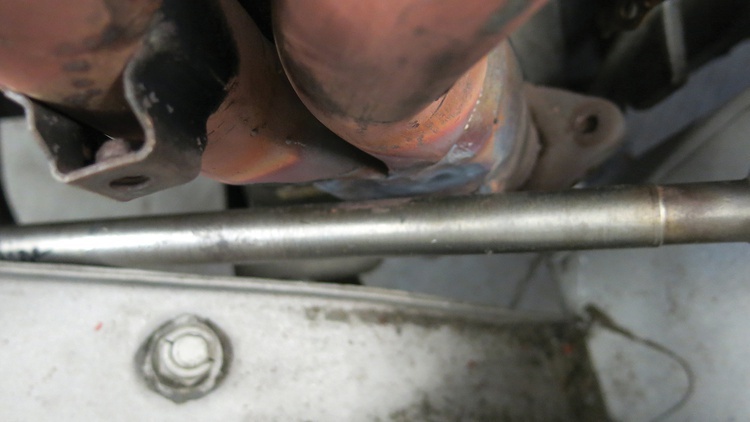 After we connected the shaft to the joint, we turned our attention back to that header clearance. We took the brute-force approach to clearancing the header. 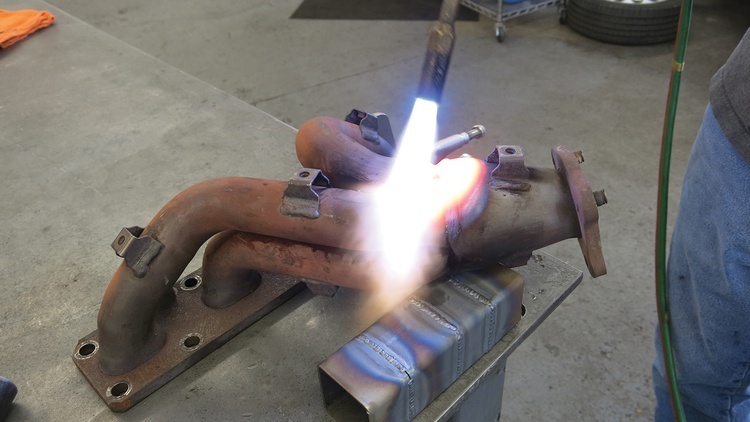 We got out the hot wrench–a rosebud tip on an oxygen/acetylene torch–and heated a section of the header to a dull red. Then, we slightly dented it with a ball-peen hammer. After a few test fits, we knew we had plenty of header clearance. All that was left was to install the heat shield. It didn’t fit at the base, though: The steering shaft and MGB subframe were in the way. A little trimming work with a cutoff wheel and more test-fitting solved that problem. In the end, we kept our engine low, back and centered. We compromised where it was easiest and just barely got our steering and exhaust to fit. We continue to be excited about this swap. Next up, we’ll be making radiator mounts and fitting the cooling system.